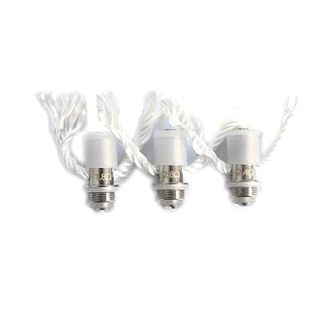 These Vivi Nova coil heads / aka wicks are the replacements for your ViVi Nova 3 clearomizers. Changing the coil heads in your clearomizer when they become burned is an important way to ensure the best performance of your clearomizer. It also is an affordable way to maintain your clearomizer without having to replace the entire clearomizer, every time. NOTE: Head Coils have a typical lifetime of 14-21 days. This is based on your volume of vaping.